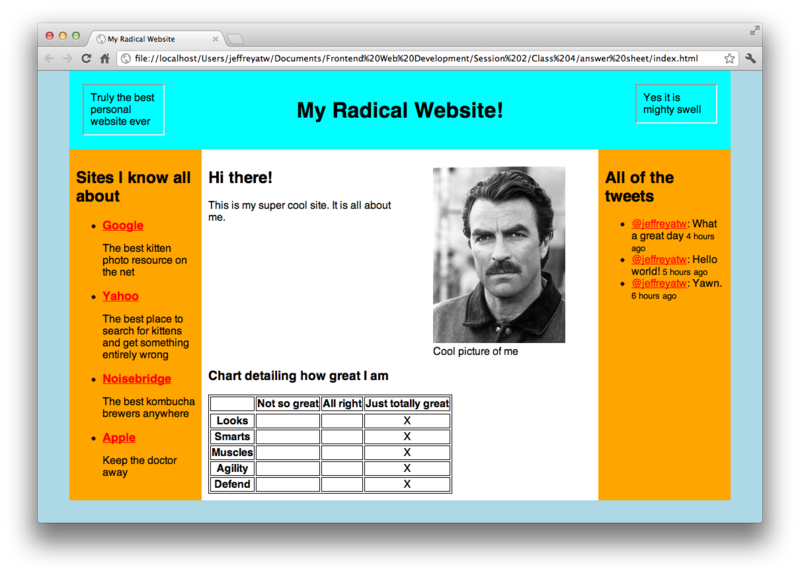 Notes from previous Front-end Web Development classes. This class is all about the seedy underbelly of web development: the backend! It is tailored toward front-end developers wanting to get a taste of how things come together on the server. We'll talk about PHP, then Node, then Rails. Come to the class in person and get the USB stick from Jeffrey. Then follow the below "easy" steps without having to download anything. If you would like to follow along, the easiest option is to run a virtual machine. Double-click the .ova file. You should check the "reinitialize the MAC address" step. Start the machine after installation and you're all set! System username and password are both "front-end". Feel free to change them if that's uncomfortable. If you don't want to use a virtual machine, or would like to set your computer up for further work on your own. Upgrade to at least OS X 10.9, preferably the latest (currently macOS Sierra). In all cases where there is a choice, choose 64-bit (x64). When installing, choose to "add Ruby executables to your PATH". Install Node.JS, NPM, Express, Apache, PHP, Ruby, and Rails individually. Good luck! We will continue working off of our mockup and apply responsive code in the process. Mockups and assets can be found here. We'll take the knowledge we gained from looking at the box model, positioning, media queries and CSS3, and work off of a mockup to make a site that could pass as a professional design. This class will require the use of Harp, a static web server, as we'd like to make this as realistic of a project as possible. As a bonus, we'll learn how to use preprocessors like Sass to help us with our code. We'll talk about a number of topics concerning modern CSS development: CSS3, browser support, BEM, and responsive design (for mobile devices). We'll start on this multi-column page and make it work on mobile. We'll focus on positioning of elements: using absolute, relative, or fixed positioning to put the elements anywhere we want on the whole page. We'll use this mockup along with these assets to put together a page that demonstrates positioning. Floating and flexbox are two methods behind creating websites with multiple columns, navigation menus, and basically any block element that's stacked horizontally. We'll learn about them by taking a look at some examples, discuss the pros and cons of each, then take a mockup and create a site from it. We took a look at React last week. There are a few aspects that we could probably optimize, by reducing the amount of props passed between components, and the amount of unnecessary renders. Redux will help us achieve that goal. We'll continue working on the React app we made last week. To prepare, make sure you have the current version ("Latest Features") of Node.js installed. We'll learn about the basics of AngularJS (version 1), a popular client-side MVC application framework. Frameworks such as these make it easier to manage data-rich views by keeping everything in sync with each other. To understand how libraries like AngularJS differ from jQuery, we'll be taking our NoiseTwitter app and converting it from one that uses jQuery into one that uses AngularJS instead. We'll create a Foundation-based landing page with a sign-up form. We'll learn about built-in HTML5 validation, but also use the jQuery Validation plugin to help us where browser support is necessary. If you don't already have web hosting, please sign up for some at NearlyFreeSpeech.NET for free (or very cheap). Also, install the FileZilla Client. We'll talk about file transfer: HTTP, which is the method of getting and sending information in the web browser; SFTP, which is a method of securely uploading files to a web host; and how to use Git to host a site. We'll set up free web hosting accounts at NearlyFreeSpeech.NET (which you should sign up for now), and upload to them using the FileZilla client (which you should install now). A text editor and web browser are all that's required to begin a project - but how about getting a head start? We'll talk about Foundation, a framework that gives us a head start with laying out a new site. We'll continue learning about jQuery by focusing on the example we worked on last class. We'll add functionality to it that will make it seem more like the real thing. To learn what jQuery can do, we'll add some scripting to this sample web app. This class is a general overview on version control and the command line. Most developers collaborate with their peers by using version control systems, which allows them to keep track of their work in a reliable fashion and push it to the web. Again, this class isn't about web development per se - it's just an important introduction to using the command line to work with Git, one of the most popular version control systems. Everyone will create their own fork of a repository and check in their work. During the half-hour before the class, we'll help people set up Git on their computers. On OS X, type git in a Terminal to get started. On Windows you should install Git for Windows. Also, please sign up for a GitHub account. CSS selectors are probably the most complex part of the CSS language, so we'll look at them further in-depth. 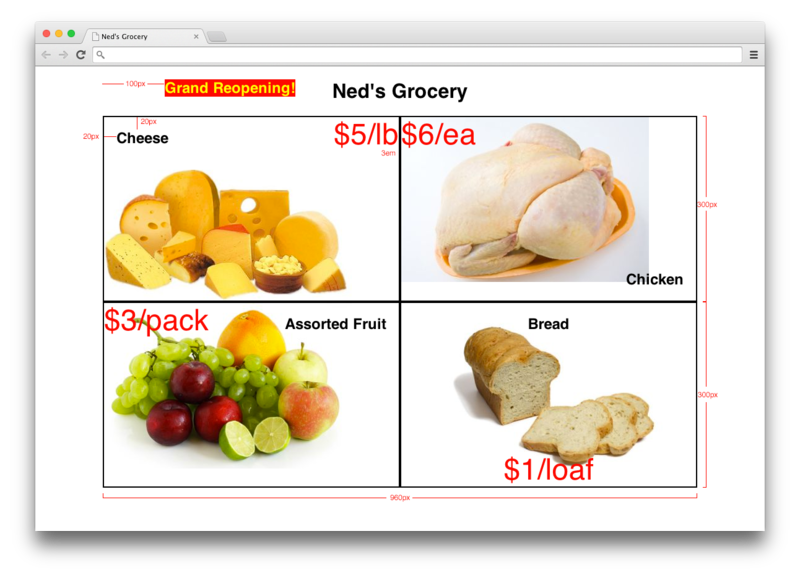 We'll also talk about the box model, the display concept that makes words and containers on the web look like they do. All of this will be made easy with browser developer tools, which we'll learn how to use. No recap session for this class. Please show up before 8pm, as physical space is limited. Bring a laptop! This page was last modified on 16 January 2017, at 05:16.